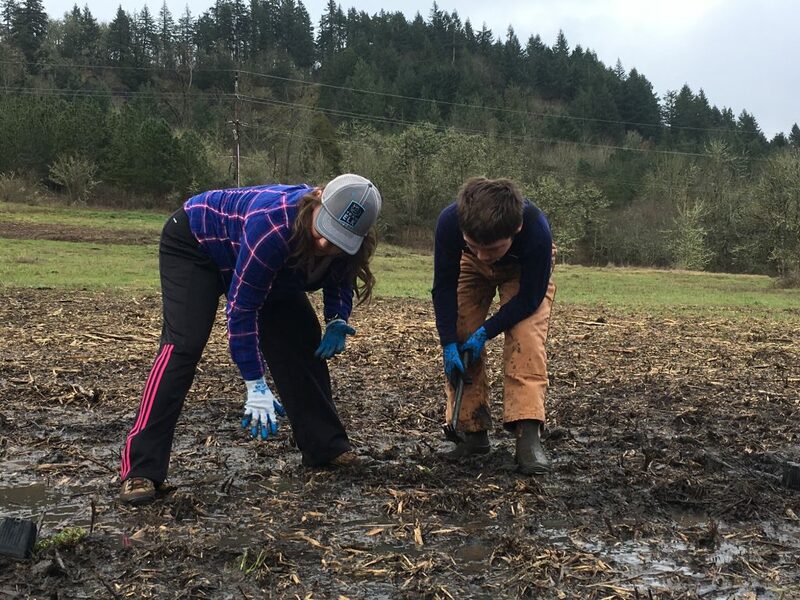 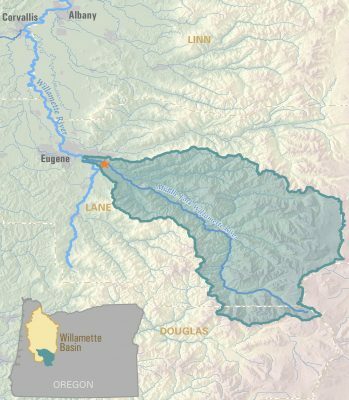 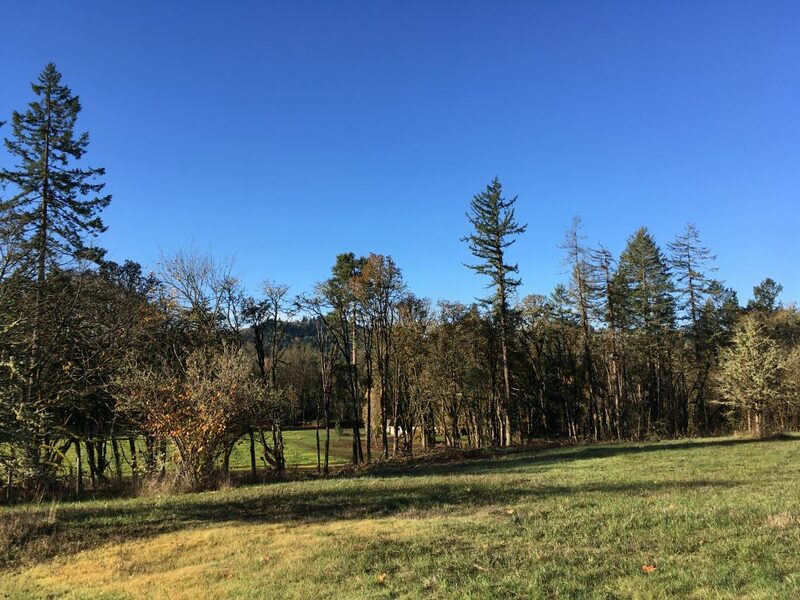 Located at the confluence of the Middle and Coast Fork Willamette Rivers, Dorris Ranch Living History Farm is one of Springfield’s treasured open spaces. 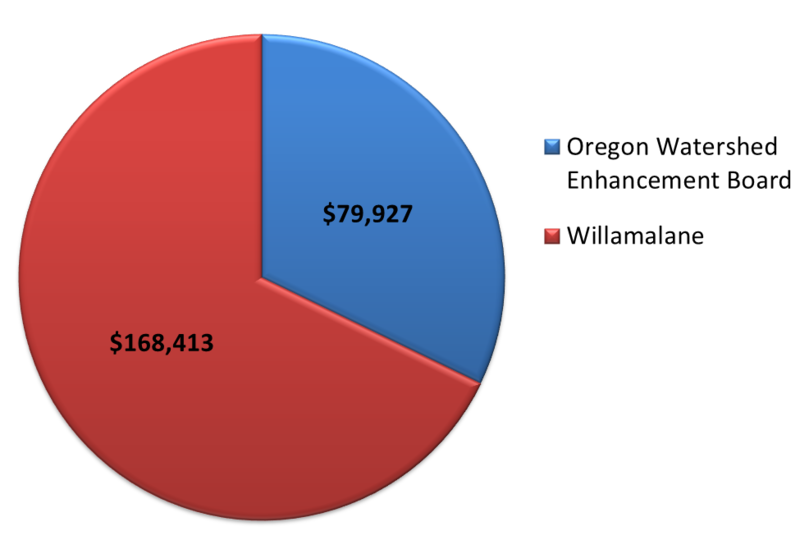 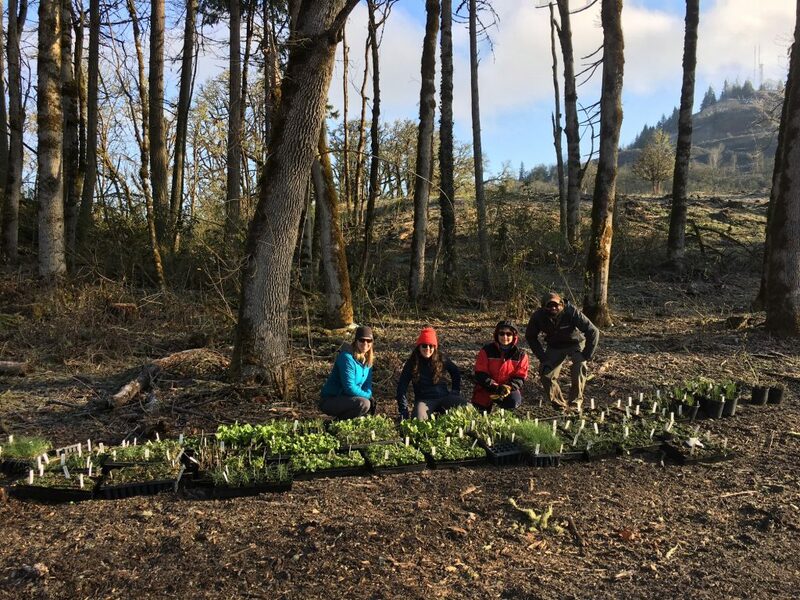 In partnership with Willamalane, we released 15 acres of oak woodland and are restoring 33 acres of prairie. 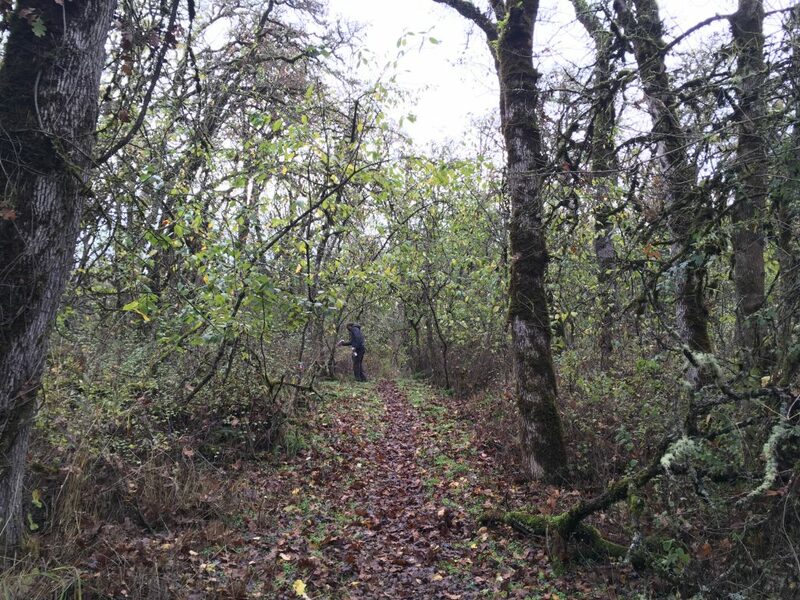 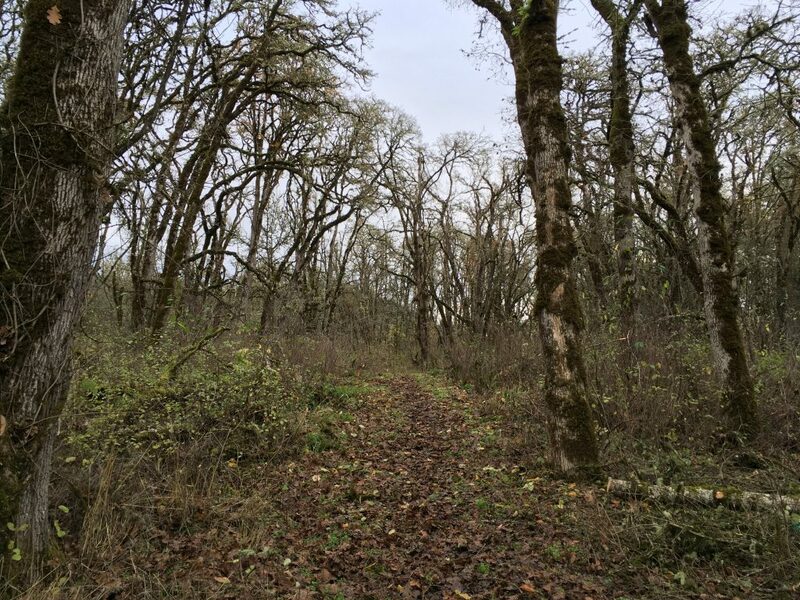 Historically, this woodland was dominated by Oregon white oak but over the past century Douglas fir, bigleaf maple, Oregon ash, and cherry have taken over. 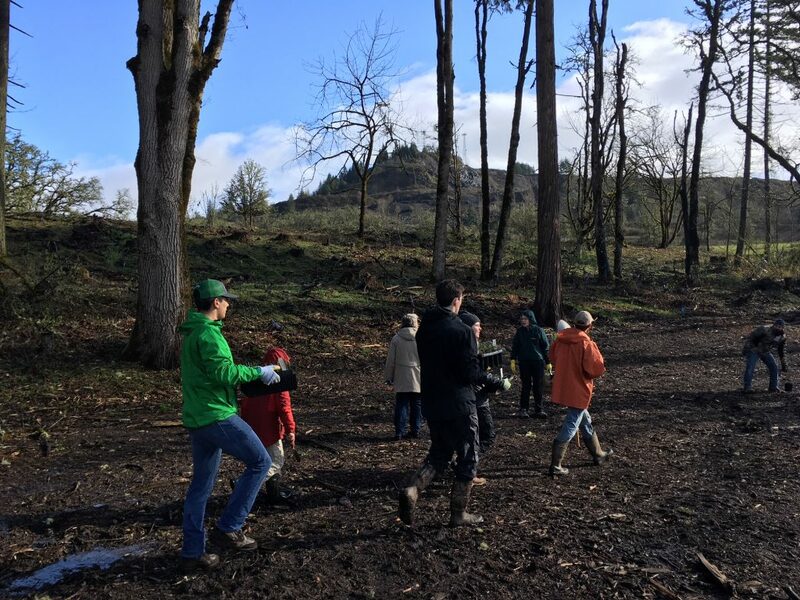 These trees were outcompeting the oak trees for sunlight and other important resources and reducing key habitat for species like the acorn woodpecker, nuthatch, northern pygmy owl and western gray squirrel. 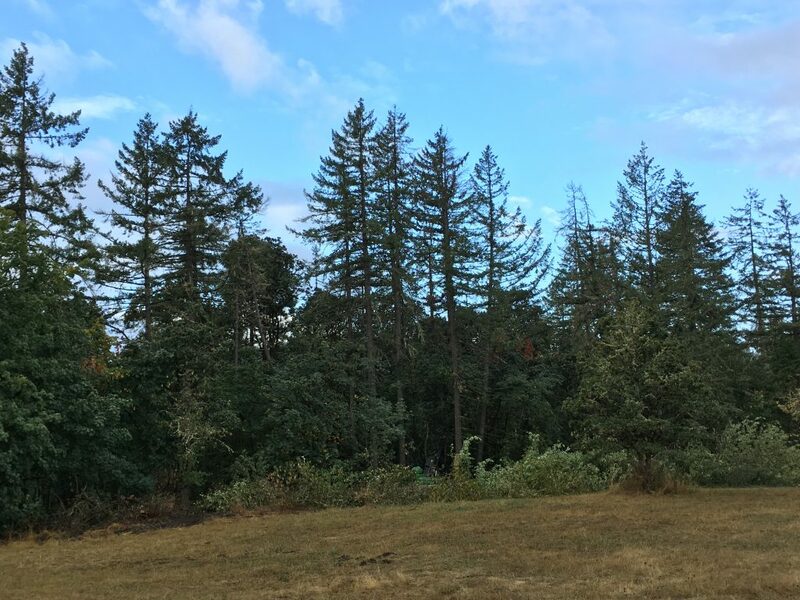 To remedy this problem, in fall 2017 we released the oak trees by thinning out the majority of the non-desirable trees. 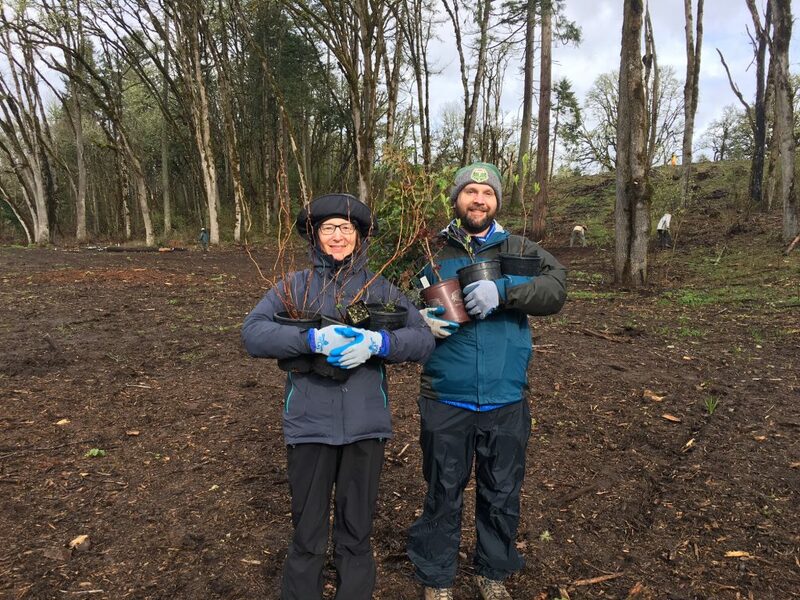 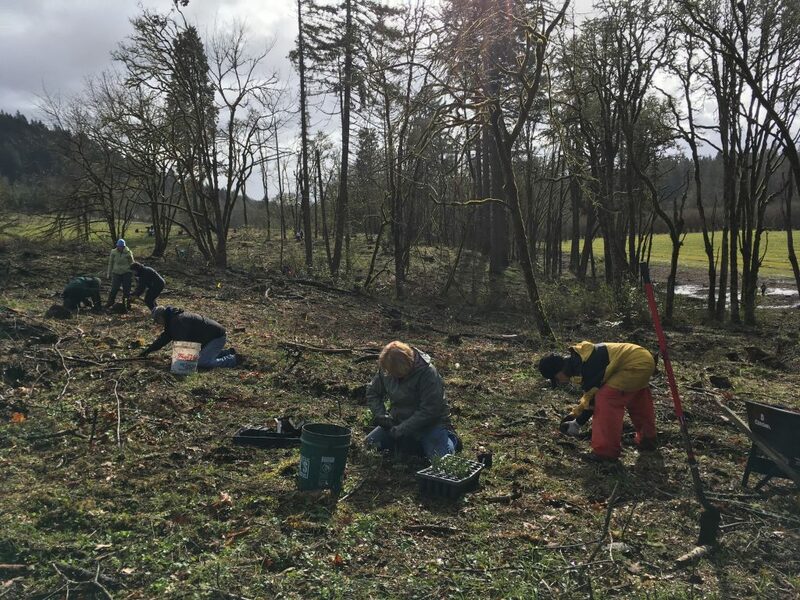 The result is a much more open woodland that will allow the Oregon white oak to receive sufficient sunlight and grow to be healthy, majestic trees. 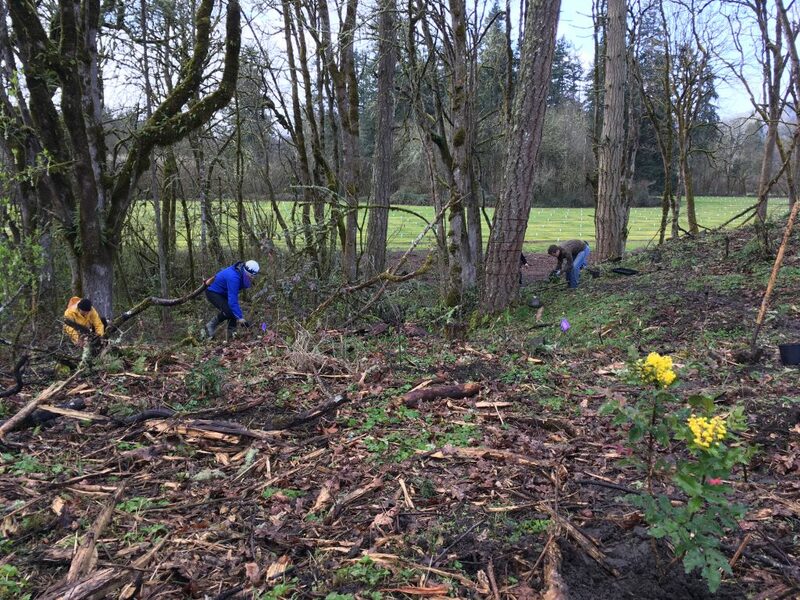 In the savanna, contractors have been removing invasive species since 2016 and will continue to do so for several years in order to restore its historic condition and benefit wildlife that rely on it. 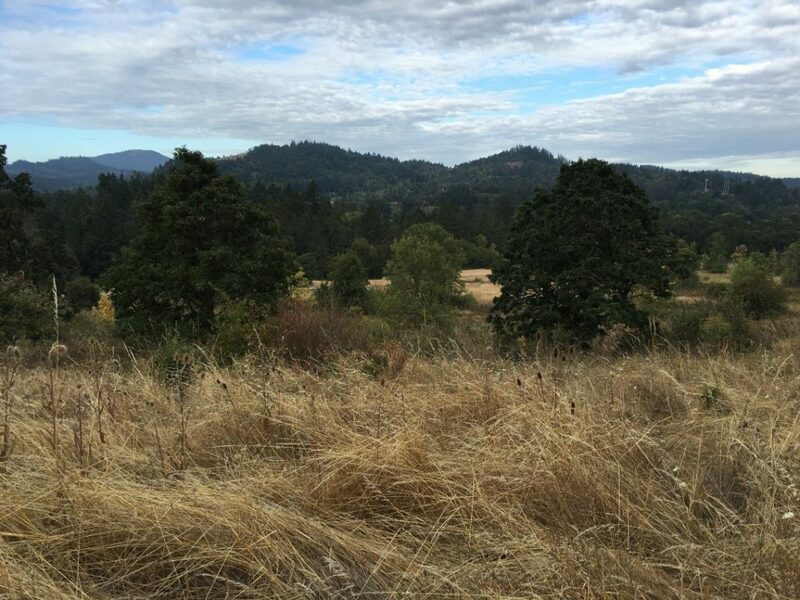 These photos highlight our work at Dorris Ranch. 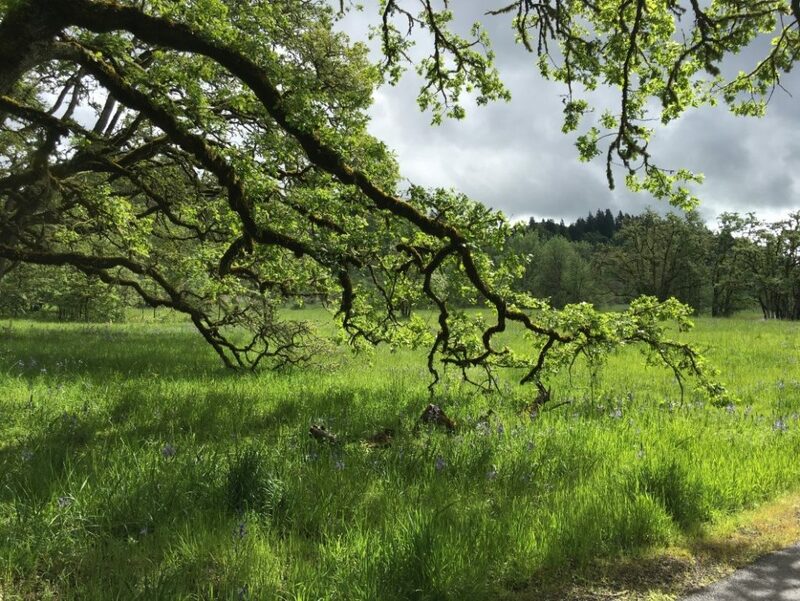 For more please visit our facebook album. 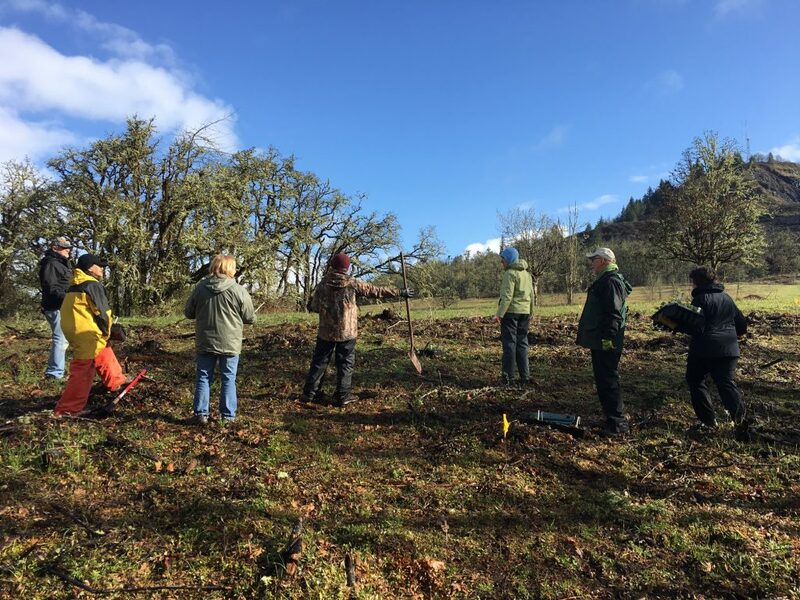 Through our restoration project at Dorris Ranch, we will remove these invasive weeds and restore this oak savanna. 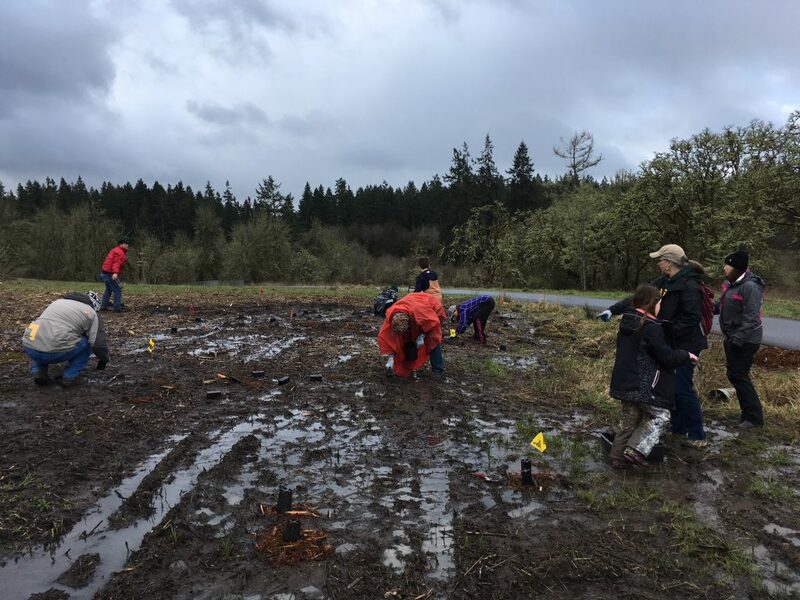 On a cold, rainy Saturday morning 80 volunteers joined us to plant over 1500 native trees, shrubs, and flowers at Dorris Ranch. 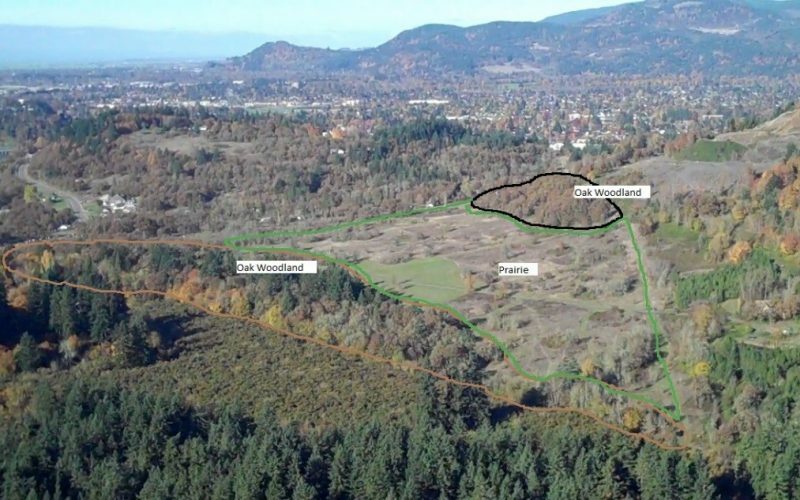 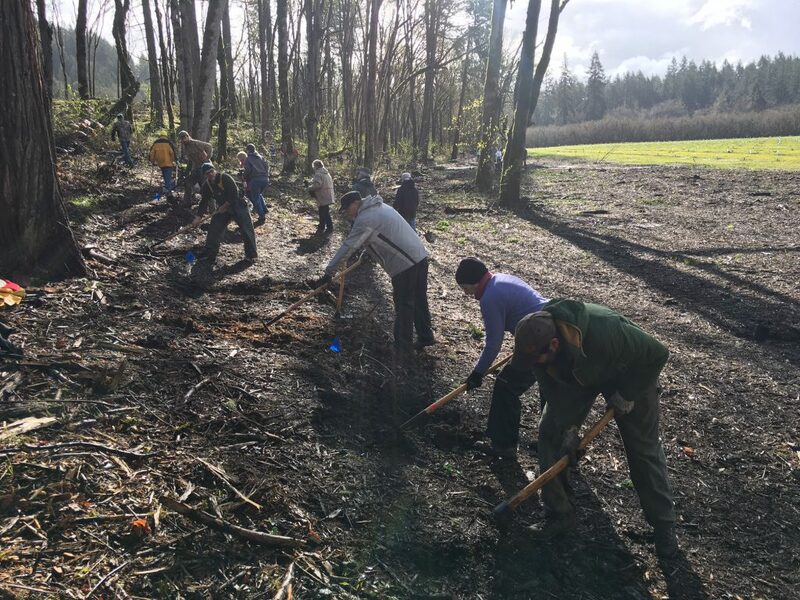 This project could not happen without our excellent contractors: R. Franco Restoration (invasive species removal and hand thinning of woodland), Advanced Land Management (mulching of slash piles and weedy trees), CV Cutting (mechanical oak release), and Trout Mountain (project management services).